Describes any two DNA or RNA sequences that can form a series of base pairs with each other. Each base forms a bond with a complementary partner. 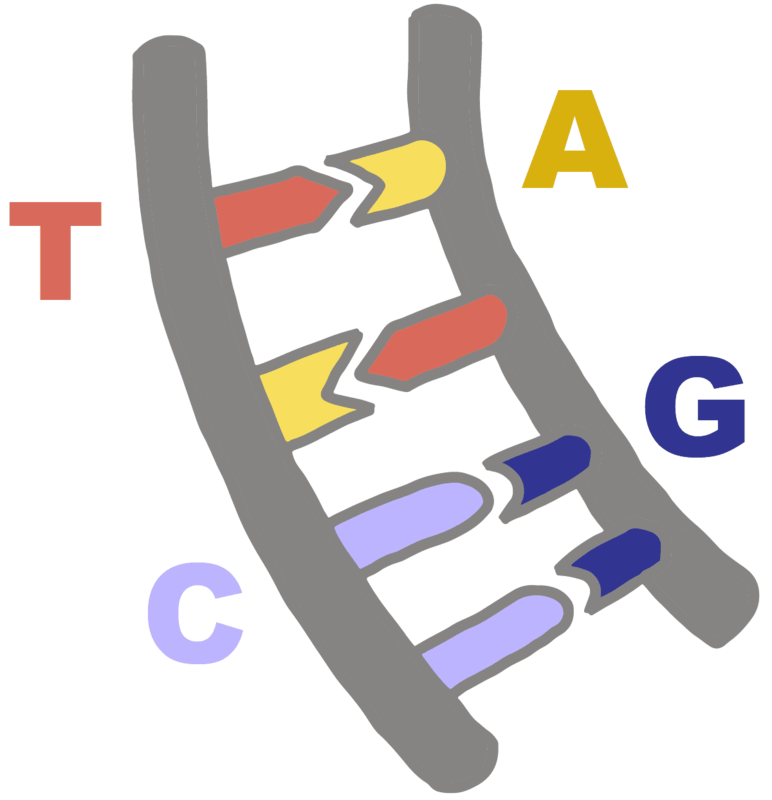 T (DNA) and U (RNA) bond with A, and C complements G. For example, in CRISPR immunity, the spacer sequence in a guide RNA is complementary to a sequence found in a viral genome. When the RNA bases pair with complementary DNA bases from an invading virus, the Cas9 protein will cut the target to stop the viral infection.